With LifeWatch, you buy and own your equipment. LifeWatch gets its hardware from Alarm.com, which is not necessarily bad because the quality is standard, but the pricing is higher than average. On the bright side, LiveWatch features a unique 365-day return policy, offering a full refund on all of your equipment if you return it within the first year. The company also offers a two-year warranty on all parts but provides a lifetime warranty – attention – upon request. Meaning you get the lifetime warranty only if you ask for it. Otherwise, the sales agents don’t mention it. LiveWatch features two control panels – Simon XTi-5 and IQ Gen 2. Simon Xti-5 is a pretty standard touchscreen panel with a five-inch color LCD screen. It’s compatible with iOS and Android mobile devices and most, but not all, of the LiveWatch equipment. You can connect up to 40 items. IQ Gen 2 is more sophisticated and sleeker. It sports a seven-inch touchscreen and can connect up to 120 items. It also supports hands-free disarming via Bluetooth and has a built-in camera and weather information. Both panels offer a two-way live voice assist capability, allowing you to communicate with the monitoring station directly. LiveWatch also offers a standard Alarm.com mobile app for Android and iOS devices. You can manage just about every setting of your system and home automation, and receive alerts and notifications. The mobile app’s location-based control allows you to set it to adjust your thermostat and activate your alarm system once it detects you have traveled a certain distance from home. LiveWatch ASAPer (As Soon As Possible emergency response) contacts everyone on your emergency list via email, text, or phone when a device is triggered. This translates into faster-than-average confirmation that police should be dispatched. A Crash & Smash Protection is available in all LiveWatch plans except for Basic. If a burglar smashes your panel, your system sends an alert to the monitoring station. If you do not disarm it, the monitoring station dispatches police to your home. LiveWatch offers Z-Wave motion-triggered indoor and outdoor video cameras that capture and upload HD footage to the cloud, but you can use any Z-Wave compatible camera. LiveWatch passive infrared motion sensor captures 320×240 resolution snapshots when triggered. Automated door locks are available as extra addons. You can control them remotely and program to engage at scheduled times. Last but not least, LiveWatch features a laundry list of environmental protection detectors and motion sensors, keyfobs with panic buttons, or panic buttons with wrist straps, and home automation remotes for door locks, lights, and thermostats. No early termination fees. Cancel anytime. You sign a one-year contract. Equipment upfront costs can be as low as $99 in Basic, and $599-$699 in other packages. Basic - $19.95/mo, 24/7 monitoring, ASAPer. Mobile Pro - $34.95/mo, 24/7 monitoring, ASAPer, remote arm/disarm, Crash & Smash protection, LiveVoice assist. Total Home - $39.95/mo, adds the mobile app, home automation, location-based control, real-time alerts, and motion sensors with image capture on top of the features of Mobile Pro. Total Home + Video - $49.95/mo, adds live video streaming and a security camera to the above plan. 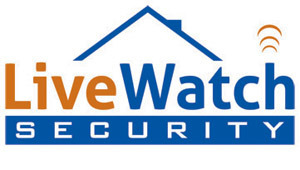 With 16 years in business and BBB A+ rating, LiveWatch only got as far as a 2.5 rating on Yelp. Customers complain about aggressive sales tactics, customer service quality, and billing issues, but your mileage may vary. Note: LifeWatch agents never mention a lifetime warranty. You have to ask for it. Ordering and activating LiveWatch feels a bit convoluted – you need to request an activation call once you receive your equipment. Before that, you also need to create a user profile on the company website. Chances are you might contact live support for clarification a few times throughout the process. LiveWatch system is wireless and relies on cellular or broadband connection. The peel-and-stick hardware ships pre-programmed, while tech support is available via online chat and by phone. The company website also features FAQs and guides. On a side note, LiveWatch DIY installation package doesn’t come nearly as organized as it should be. You get a box full of equipment, and it’s up to you to figure out how to connect it. If it’s your first time setting up a home alarm system, you might need to get that tech support on the phone. You can upgrade and downgrade plans. But if you downgrade, you need to return any system discount you got on your initial plan. LiveWatch runs a hard inquiry on your credit score. LiveWatch charges a higher price on its Alarm.com equipment than you can find on Amazon, or with other retailers. Some customers report the company keeps billing them after they’ve canceled. Professional installation is not an option. If you have good credit, you qualify for significant discounts. If you are unhappy with security cameras from LiveWatch, you can add any third-party Z-Wave-compatible camera. To save on equipment, buy your Z-Wave doorbell camera, smart lock, and other home automation gizmo on Amazon. Not all LiveWatch equipment is compatible with both of its control panels. Cross-check for panel compatibility before ordering. LifeWatch shines when it comes to processing of alerts, and impresses with its cancel-anytime policy and lifetime warranty. But its equipment price may knock LiveWatch out of consideration, while the cost of video monitoring is above-average. It’s dependable, but not perfect.